Bought in Oxfam book shop in Oxford. Fascinating tale of a Quaker who fled England due to the embarrassment of her fiancé leaving her and their community and became involved in the 'underground railroad' (a network of people who helped slaves reach freedom to Canada). 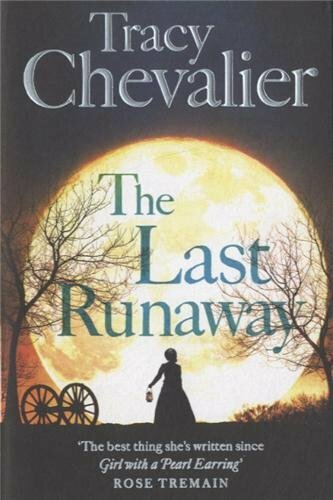 I enjoyed reading Chevalier's synopsis at the back of the book on the history, Quakers and Slavery reflecting that she had done a great deal of research. Will be looking for more books by this author. Left at Mind Charity Shop on Christchurch High Street.